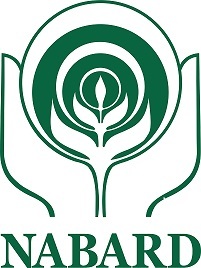 Nabard Recruitment 2018: Applications are invited from Indian citizens for 92 posts of Assistant Manager in Grade ‘A’ in the Rural Development Banking Service (RDBS) in National Bank for Agriculture and Rural Development (NABARD). Candidates can apply only ON-LINE on NABARD website www.nabard.org/Career Notices between 13 March 2018 and 02 April 2018. Candidates to ensure their eligibility for the post: Before applying, candidates should read all the instructions carefully and ensure that they fulfil the eligibility criteria for the advertised post. NABARD would admit to the Examinations all the candidates applying for this post with the applicable requisite fee/intimation charges on the basis of the information furnished in the ON-LINE application and shall verify their eligibility at the stage of interview as also joining. If at that stage, it is found that any information furnished in the ON-LINE application is false/ incorrect or if according to NABARD, the candidate does not satisfy the eligibility criteria for the post, his/ her candidature will be cancelled and he/she will not be allowed to appear for interview or to join the service. 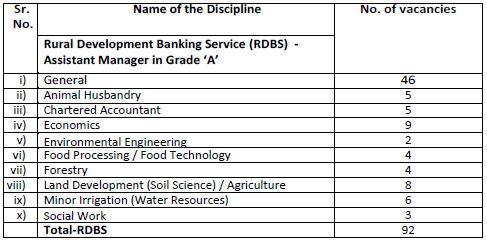 Mode of Application: Candidates are requested to apply only ON-LINE through Bank’s website www.nabard.org. No other mode of submission of application will be accepted by NABARD.